321 Seamasters must be amongst of the most under-rated Omega models of all time. Maybe that’s grandiose, but I ask you: what other reference offers the mechanical elegance, timeless design, and present-day value that it can? It’s one of the subtler choices you can make in vintage Omega. 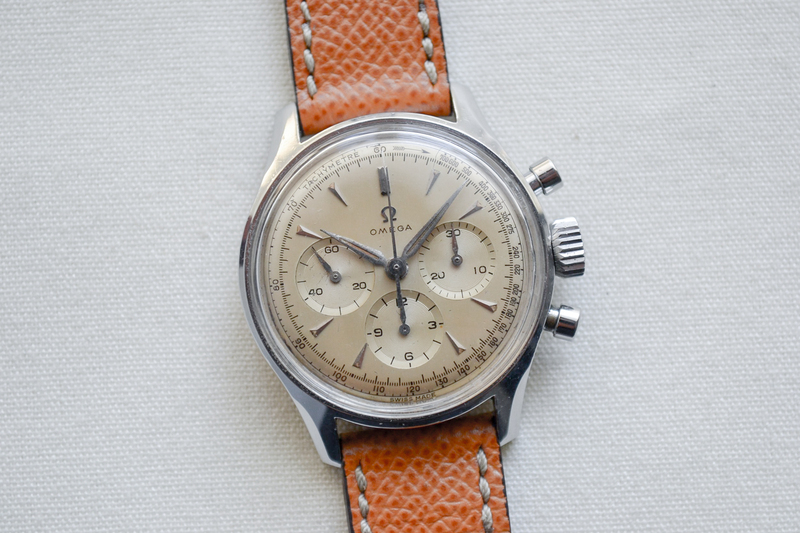 Here, a very restrained 35mm case contains the early Speedmaster’s cal 321, one of the most historically significant movements from all of horology. But the design isn’t quite so boastful; more a sort of humble excellence. The most important factor in choosing a 2451 is patina. A majority of these have terribly aged dials. Thankfully, this example is unspotted. The dial’s tone has gone golden, but evenly. The case has been polished, but it isn’t offensive. Helpfully, it comes fairly priced from reputable seller, Uberz. Find it here for 4450 USD.